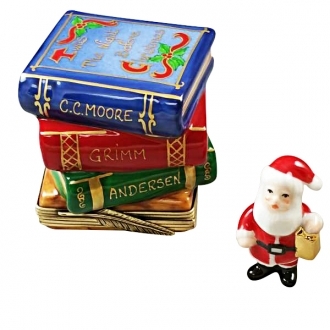 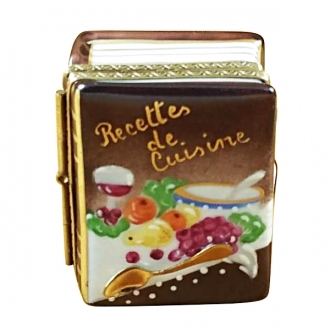 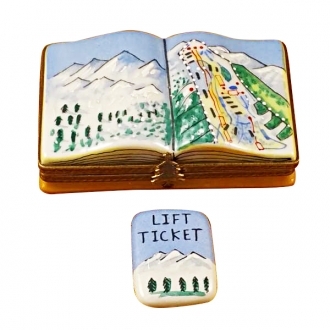 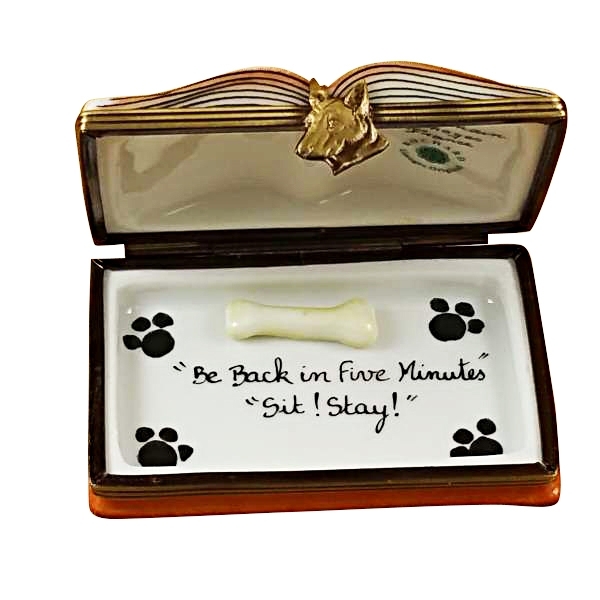 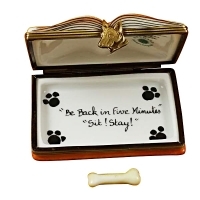 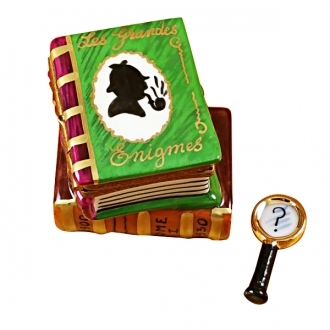 Veterinarian book - Limoges Boxes and Figurines - Limoges Factory Co. 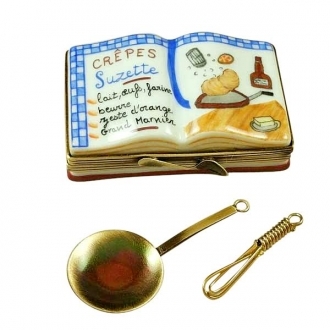 This is yet another Limoges box that honors a profession. 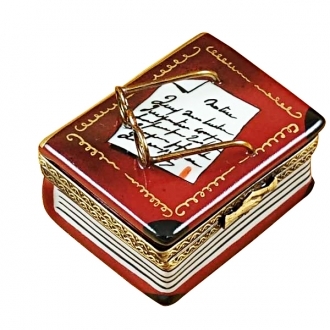 This box is made to look like an open book with names of veterinary medicines written on it. 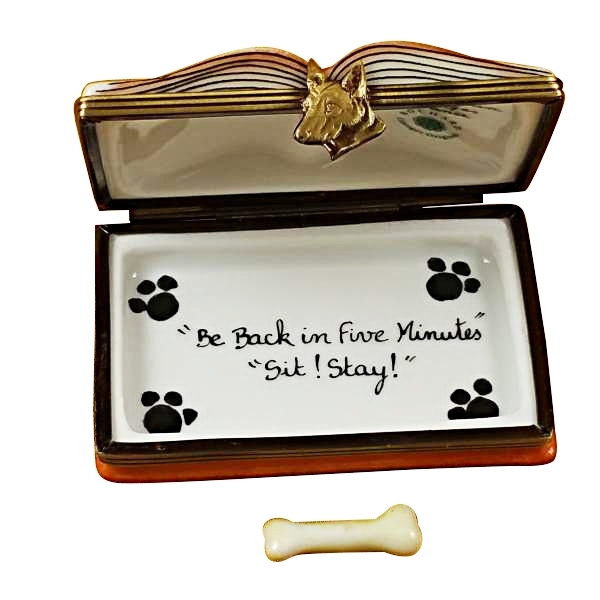 A veterinarian symbol is also painted on the box. 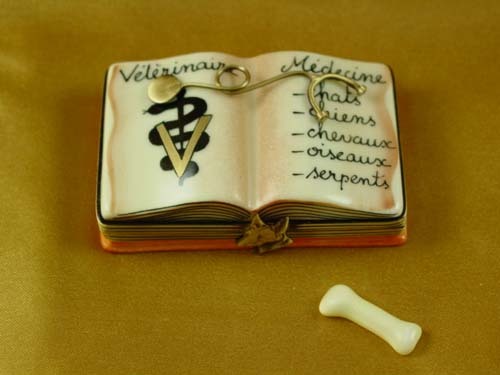 A golden stethoscope and a porcelain bone come with the box. 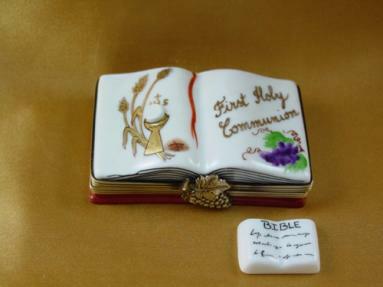 Measurements: 2,5" х 1,5" х .5"
H: 2.00" W: 1.00" L: 1.50"
H: 0.50" W: 1.50" L: 2.50"
H: 2.00" W: 1.75" L: 1.75"
H: 0.75" W: 1.50" L: 2.50"
H: 1.00" W: 1.50" L: 2.50"
H: 1.00" W: 1.50" L: 1.75"
H: 0.50" W: 1.50" L: 1.75"
H: 0.75" W: 2.50" L: 1.75"
H: 1.25" W: 2.25" L: 2.50"
H: 0.75" W: 1.50" L: 2.25"
H: 1.75" W: 1.25" L: 1.50"
H: 2.00" W: 1.25" L: 1.50"
H: 1.25" W: 1.50" L: 2.50"
H: 1.25" W: 1.75" L: 1.50"